There was a time centuries ago when the world was divided into two parts, the West and the East. Each part was disconnected with the other by miles and miles of deep untrodden waters. It was under such a backdrop that the Portuguese explorers embarked upon their adventures to find out about the mysterious world and wanted to uncover and confirm the myths about the East. When it came to expeditions to untraveled lands, the Portuguese had made their own mark in the western world. The Portuguese explorers were famous for their bravery and love for adventure. They knew what it would take for them to leave behind their native land and journey into the unknown waters of the ocean to distant lands that they knew nothing of. What did the Portuguese Attempt to Achieve? However, they had the courage and soon mastered the tactics of interacting with people of unknown places and in most cases managed to win over their confidence! It is true that not all the expeditions undertaken by the Portuguese were successful but even the ones that could not achieve the aims that they had set out for taught the explorers of the future important things about the sea. During this time there was in fact a spirit of competition among the various European kingdoms in order to be the first in discovering and interacting with new lands and their inhabitants. 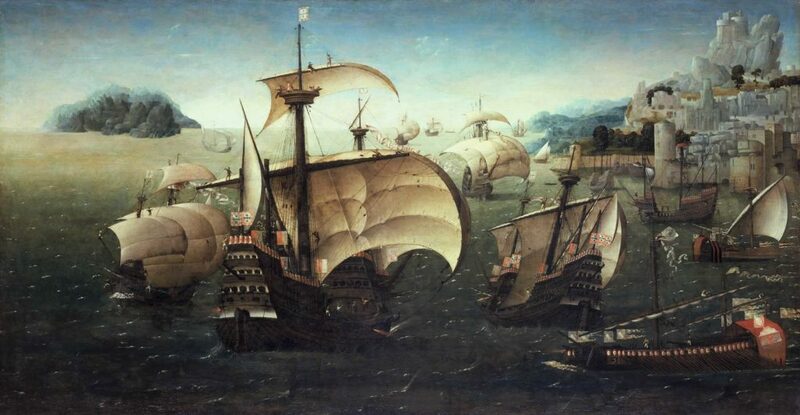 Countries like England, Spain, France and Portugal continually tried to outdo each other at sea in order to discover and conquer newer territories. Portugal claimed an important and superior position in this race for power and wealth thanks to it’s able and courageous explorers, who fearlessly tried to make their way through sea storms and adverse conditions to bring back the glory and wealth of conquering new territories. They wanted to discover new territories in order to have direct trade relations with the East so that they could make financial gains by doing away with middlemen. Moreover, they wanted to discover new valuables and wealth including spices that were rare in the West by conquering or trading with these hitherto unknown lands. They wanted to extend their political influence and bring more and more lands under their control in the form of colonies where they could set base and thereby reap the benefits of the riches confined in these lands and thus enjoy a pre-eminent position among their western rivals in England, Spain or France. They wanted to spread their cultural influence in the East and also aimed at propagating their religion in the lands that they discovered by converting the inhabitants to their faith. The Portuguese explorers were aided and often appointed to lead expeditions by the kings who wanted political power and supremacy in Europe. The explorers themselves were mostly guided by their love for travelling and adventure and went on these dangerous yet exciting travels to win glory and power for their countrymen! Explorers like Ferdinand Magellan, Vasco da Gama and Bartholomeu Dias all hailed from Portugal and brought glory and success to their motherland.